A “randonneur” is a long-distance-endurance-cyclist who has officially completed an Audax cycling event (of 200km distance, or further) within the stipulated time limits for that specific Audax distance. Such Audax cycling events are known as “brevets“. An “ElliptiGO Randonneur” is a randonneur who has successfully completed a brevet event (of 200km distance, or further) riding an ElliptiGO bike. The international governing body for brevet events and randonneuring is Audax Club Parisien (ACP) but many countries will have local Audax organisations working under the umbrella of ACP. A more detailed description of the sport of randonneuring can be found on this link. 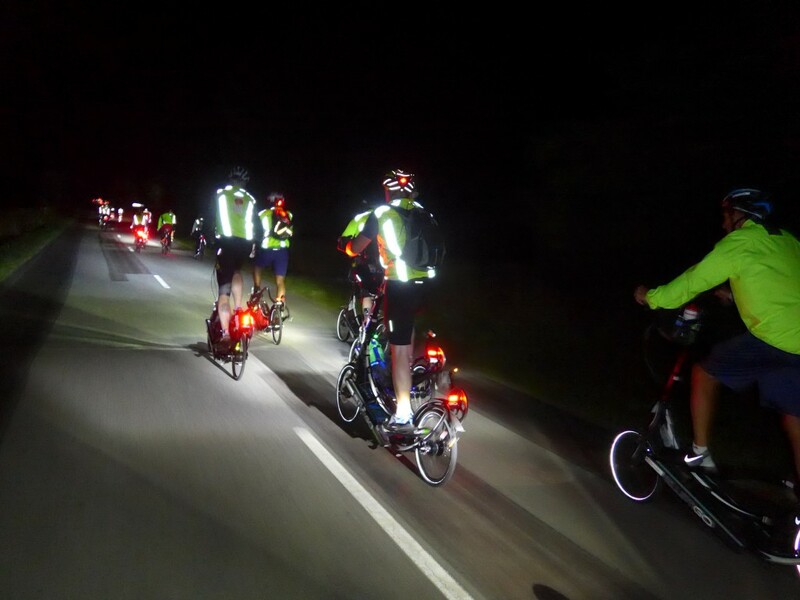 Completing an Audax long-distance cycling event on an ElliptiGO bike is one of the topmost accomplishments possible in endurance sport. The list below shows all the ElliptiGO Randonneurs in our team (listed by brevet distance and year, in chronological order, for each distance). These Randonneurs make up the ElliptiGO Ultra-Endurance Team. If you would like to join this ‘honours list’ and earn your own place in the ElliptiGO Ultra-Endurance Team (and if you need assistance with your planning, preparation and training) please contact Idai Makaya. Randonnée-Round-the-Year (RRtY or R-12 Award) Requires the completion of brevets (of 200km distance, or longer) every month – for 12 successive calendar months.